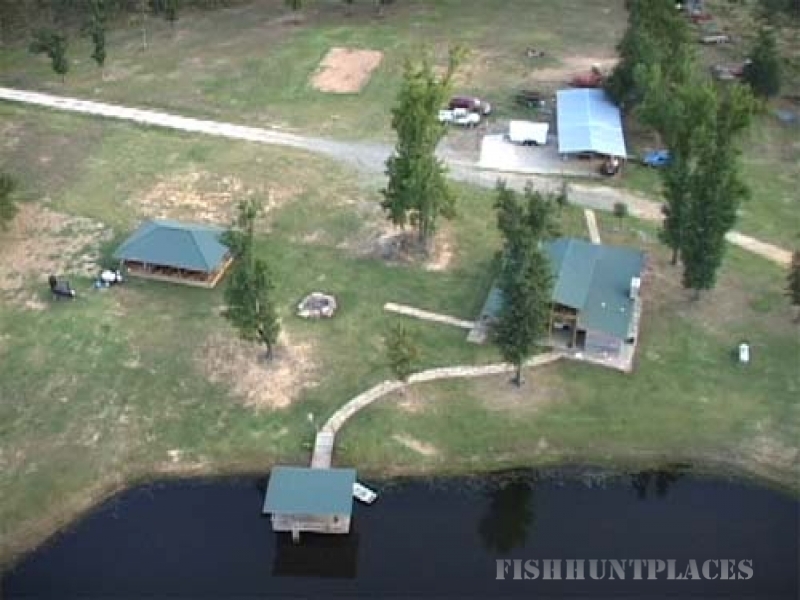 Elk Meadow Game Ranch is located in Northeast Texas on 1200 acres of rolling hills outlined with red oaks, post oaks, white oaks and loblolly pines. Enjoy our Pavilion seating up to 250 people overlooking the 5 acre lake - a great place to relax with deer milling around - add a gourmet meal - and memories are created. Elk Meadow Game Ranch is a first class facility designed for both skilled hunters and business executives. Fully guided exotic hunts typically occur in 4'x 8' blinds (10 feet above ground) carpeted, heated with Plexiglas windows. We also hunt in ground blinds, tree stands, safari style and spot & stalk. At Elk Meadow Game Ranch hunters are allowed to use their weapon of choice (bows, black powder centerfire, hand guns, etc.). Elk Meadow Game Ranch clients receive personal, exceptional service - making us unique among game ranches. Hunting lodge and facilities are first class along with our hospitality.